We provide homecare services that serve all persons regardless of age, disability, ability, physical, emotional and/or social challenges. Everyone can benefit from Harmony Caregiving home care or in facility caregiving services that are tailored to the individual care needs of your loved one. Whether it is a person living with a short-term disability, chronic illness, living with Alzheimer’s disease or going in for surgery, we are a versatile company that is here to meet your needs. Worried your loved one may be isolating themselves because of all of their physical transitions, do they seem lonely, depressed or grieving to you? Chances are high, that they likely are suffering from one of the above. We ensure that our caregivers provide your loved one the attention and companionship they need be it from the senior facility they are staying at, or if they are still at home, we offer the same with our in home senior care services. 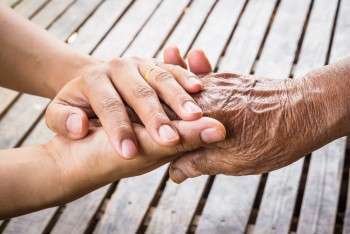 Harmony believes that people are most comfortable in familiar surroundings, so aging or healing in a place one knows, serves them well emotionally, spiritually, physically and financially. We offer in-facility care support services to ensure the daily tasks that require assistance to complete are attended to. Healthy Meal Preparation: preparing and shopping for meals that support proper eating habits according to medical condition, tastes and/or requests. Personal Hygiene Care: Assist with shaving/trimming, makeup application, hair brushing, shampooing/styling, maintaining nail regimen, oral /dental/denture care: skin care; washing, drying, applying non-prescription body lotions or creams, observing skin changes.